At only 18mm wide, the Pico is the thinnest .380 semiauto handgun on the market, making it a best in class for concealed carry and home defence. Besides being light, small and concealable, it offers easy use, adjustable sights, an ultra-reliable low-recoil mechanism and a tough, durable finish that–with proper care–will give you a virtual lifetime of service. Weighing only 11.5oz unloaded, this double-action-only (DAO) pistol is comfortable and unobtrusive to carry, no matter your preferred mode. The Pico’s flat profile and snag-free lines make it perfect in a pocket holster, while its smooth sides and controls also make it ideal for inside-the-waistband carry–coupled with its extra-durable stainless-steel/polymer construction that is highly sweat-resistant. It will literally disappear even in a small purse, while thanks to its flowing design it will always be easy to draw from concealment when every second counts. The Pico is soft-recoiling and makes target recovery lightning-quick after every shot, thanks to its minimal barrel tilt. This feature also makes feeding utterly reliable, even with more open hollow point designs or the hotter .380 commercial loads. 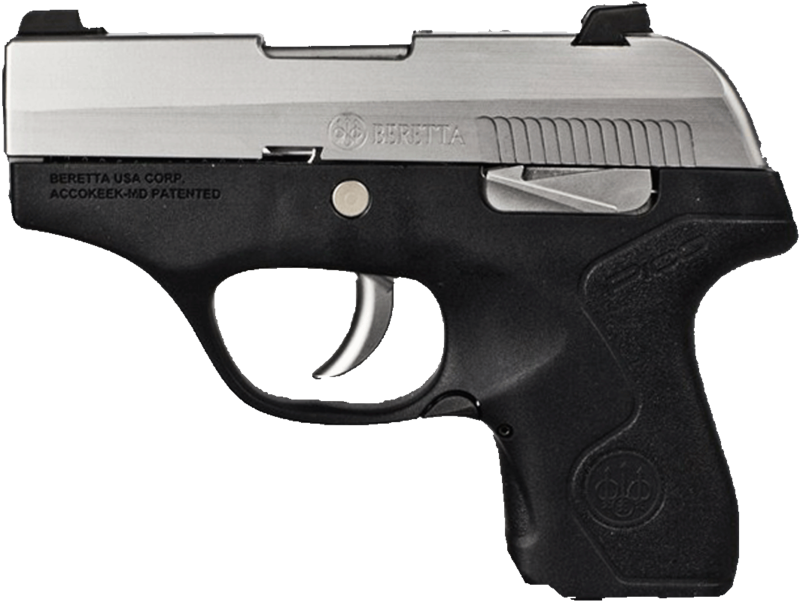 This means that when you need it for concealed carry or home protection, the Pico will always deliver the performance you expect of a Beretta. Like its slightly bigger brother the Nano, the Pico is engineered to be easy and intuitive to take apart and reassemble. Its heart is a serialized modular chassis, meaning that the frame can be easily swapped to accommodate the user’s preferences. Shipped with a storage case and two 6+1 stainless steel magazines (one flush, one with grip extension), the Pico features adjustable, quick-change sights with no gunsmithing required. It also offers ambidextrous magazine release, as well as a super-low-profile slide-release lever to keep the slide open when desired. 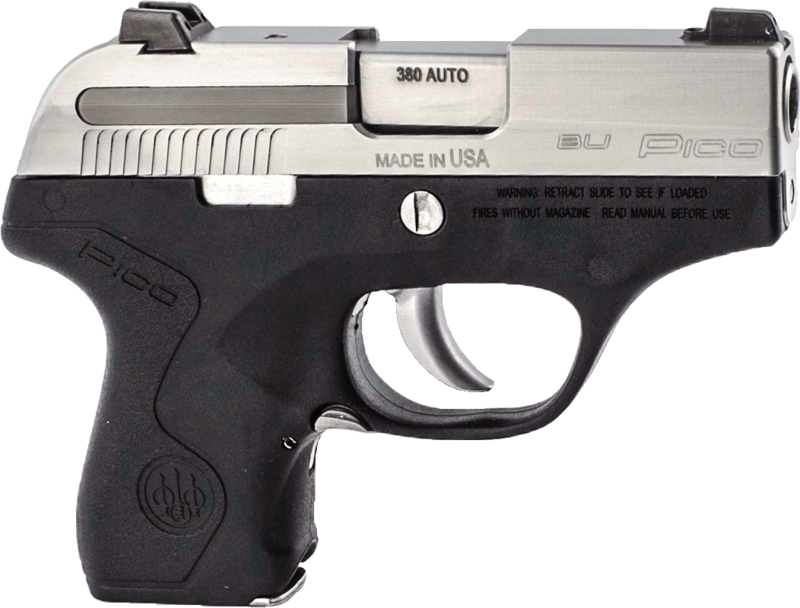 The Pico is made in USA and brings all the reliability and quality of Beretta as the leader of a new generation of concealed-carry firearms.